Ford took the head-turning design, smart technology and fun-to-drive dynamics of the Ford Fiesta. Combined it with the practicality, durability and generous load space that Ford vans are renowned for. The result: The All-New Ford Fiesta Sport Van. 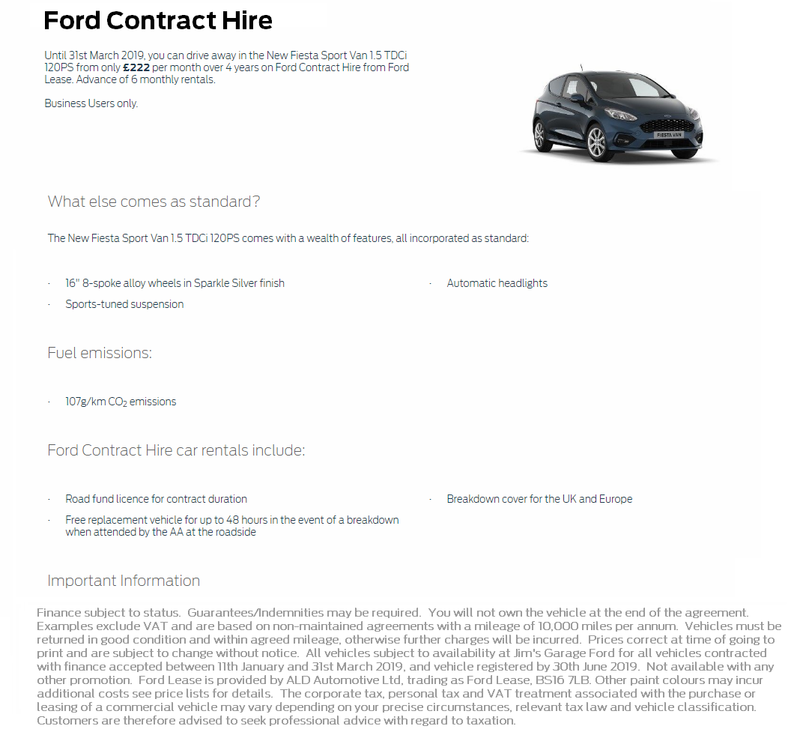 Use the form below to contact us for your bespoke quote on the Ford Fiesta Van.